Considering the state of modern society’s diet and lifestyle, it is little wonder that heartburn is a common complaint. People often turn to medicines to alleviate the effects of heartburn attacks. If you wisely want to stay away from the potential side effects caused by the medication, you can try using natural remedies. Heartburn is the result of the acid in the stomach climbing up the oesophagus. This is why the medical community calls the condition acid reflux, or GERD. One way to lower your chances of getting heartburn is to not eat too much at one sitting. Keep away from drinks when eating because they fill up your stomach quickly. Eat and drink in moderation only. Switch to several short meals during the day instead of confining yourself to three heavy meals. This will ensure that you do not overeat at any given time, and at the same time you will not be hungry. Slow the eating process by chewing your food fully prior to swallowing. Your stomach won’t have to work as hard to digest the pre-chewed bites and your brain will be notified that your stomach is satisfied sooner than if you were to wolf your food down. Never lie down right after you eat. You should allow your meals to digest for a minimum of one hour before going to bed. Waiting two or three hours is even better. Even when resting, make sure that the upper torso is higher by at least half a foot from the rest of the body. Pillows alone may not help you achieve this, as pillows only elevate your head. To prevent heartburn, the chest needs to be in an elevated position to make it difficult for acid to travel up the esophagus. Several foods are commonly associated with heartburn or acid indigestion. Citrus foods and tomatoes are foods that have high acid in them that can lead to heartburn. Others include coffee, red wine, soda, and chocolate. Also refrain from fatty foods such as fries or burgers. To some, spicy foods may also induce indigestion; however, there are others who are not affected by spiciness. On the other hand, foods such as buttermilk, fibre-rich grains, fresh fruit juices of guava or pear, cabbage juice, and apples alleviate heartburn. Innocuous foods such as sourdough bread and brown rice can also ease the condition. Obese people are more prone to suffer from GERD than others. The excess weight presses against the body, pushing acid back into the esophagus. By taking several pounds off your waist, you can eliminate heartburn. Smoking at any time and drinking alcohol in the hours preceding bedtime can trigger heartburn. The muscles that keep acid in the stomach are loosened by nicotine and alcohol. 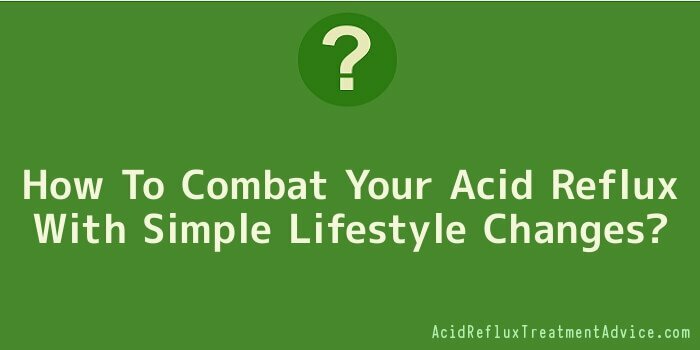 Therefore, you need to curb your smoking or drinking habits to effectively control heartburn’s aggravating conditions. If you are prone to very severe attacks, then it is best to give up smoking and drinking entirely. A great way to help you get over your smoking addiction is to chew gum. This will help by increasing saliva production and swallowing, both helpful in eliminating acid reflux. Any good doctor will tell you that exercise is the key to health and longevity. Exercise is not just a healthy lifestyle practice, but it is also effective against heartburn. Begin with a light routine to keep your system moving smoothly. There are numerous supplements that are purported to help with acid reflux symptoms. Some of these supplements are melatonin, vitamin B and deglycyrrhizinated liquorice. Many supplements available at health food stores contain more than one reflux-fighting substance, which makes taking supplements more convenient. Many of the reflux-fighting supplements are commonly available in your kitchen. You can use honey, turmeric, cardamom, apple cider vinegar, or ginger to alleviate your heartburn. Use them in your meals, mix them in a drink, or simply eat them raw. They are also available in pill form. You can now easily prevent chronic heartburn attacks. You have the power to change on small step at a time and protect yourself from the agony of frequent heartburn and the dangerous conditions that can develop from it. Adopt these practices in your daily life and set yourself free from heartburn symptoms.